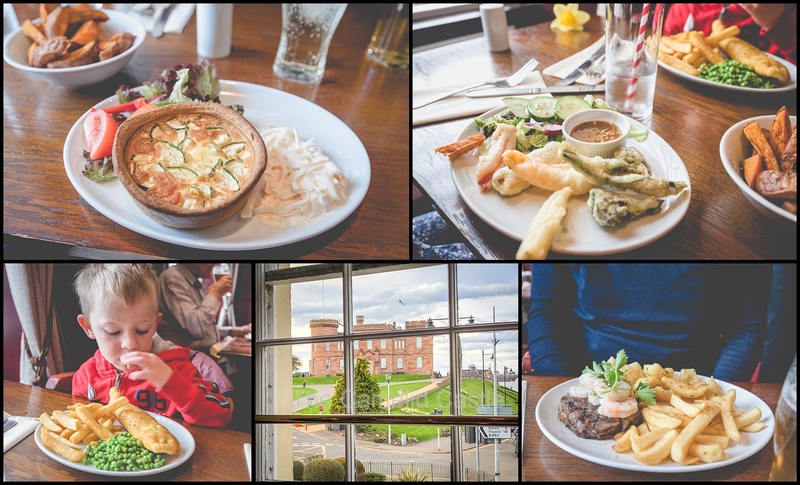 It was our second day in the Scottish Highlands and we were off for some scenic driving around Rannoch Moor (with a little more adventure and vomit than we planned) then off in search of Nessie before ending our day in the beautiful Spring weather of Inverness. Annoyingly I had an alarm set on my phone from the previous weekend when we had an early flight out of Iceland that I’d forgotten about that woke us all up at 6am. Of course the kids then didn’t properly go back to sleep and Anto and I didn’t manage any further sleep, so we were in for a long day! Breakfast started at 8am downstairs at the Red Brolly Inn. The kids started with cereal and yoghurt and got to order a hot breakfast to follow. Astrid had an American breaky with pancakes and bacon, fried egg and maple syrup. I had the vegetarian breakfast with a poached egg, mushroom, tomatoes, beans and a potato scone. 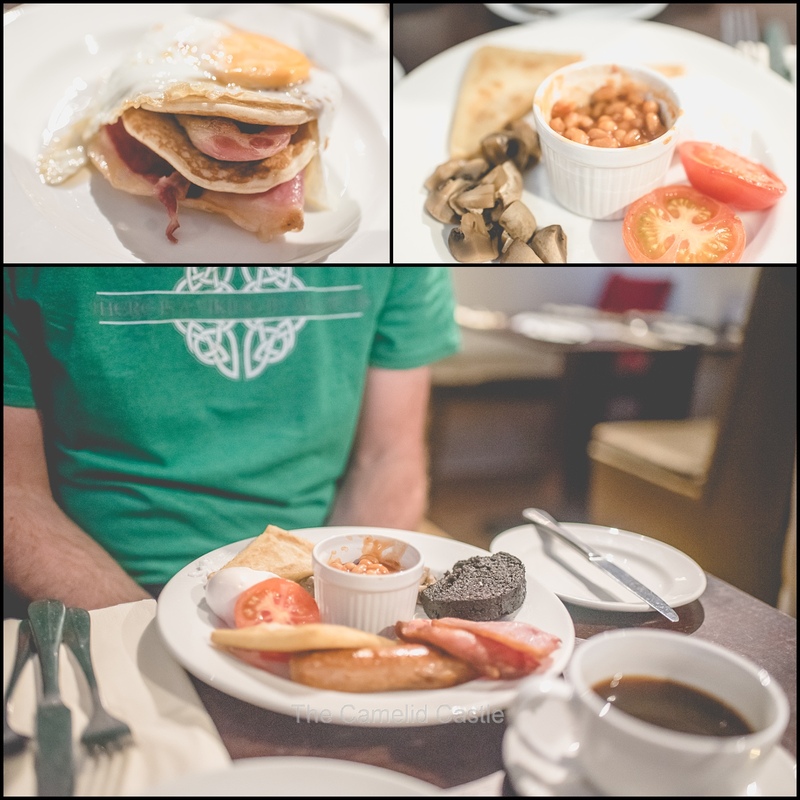 Anto had the full Scottish – poached eggs, potato scone, black pudding, sausage, bacon, tomato and beans. Soren decided he just wanted toast. We had been dubious about ‘potato scones’ but they were actually really good. On the other hand roasted tomatoes are not the forte of the Scottish! With breakfast done, it was outside at around 9ish for a little sightseeing in the village and to the tiny post shop to post some postcards back home. It wasn’t too cold (everything was still warm in comparison to Iceland). 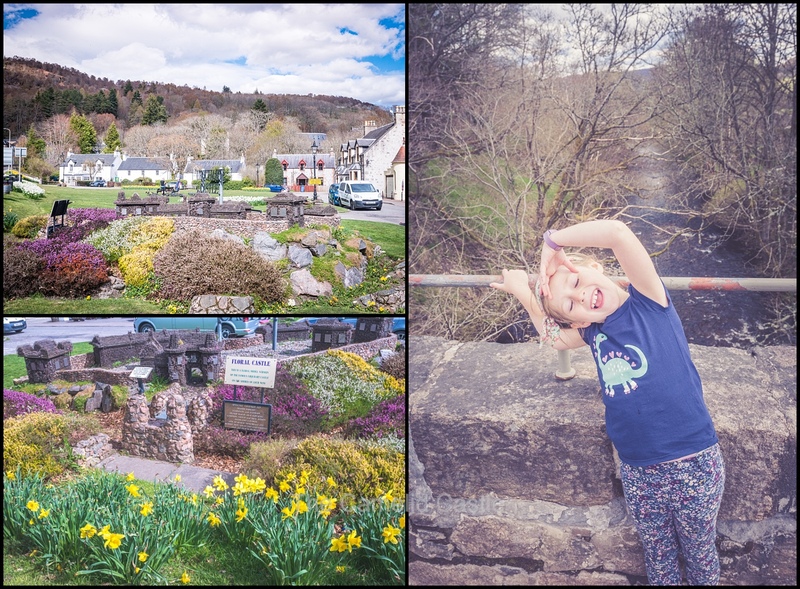 The village was full of beautiful gardens, but after a short explore we bundled into the car and set off on the days adventures. First on the agenda for was to be Loch Rannoch (a 15km long freshwater loch in Perth and Kinross) and Rannoch Moor. Once we turned off the main ‘A road’ it got very winding and bumpy. The scenery was rather pretty as we drove past lots of farms, and past plenty of sheep with lambs bounding around. We even saw sheep being moved across the highway and had to stop to give way (this was not to be the last time this happened in our highlands trip). The speed limit was mostly 60 mph but with winding single lane road with passing areas and walled stone fences, it was wise to go a lot slower. 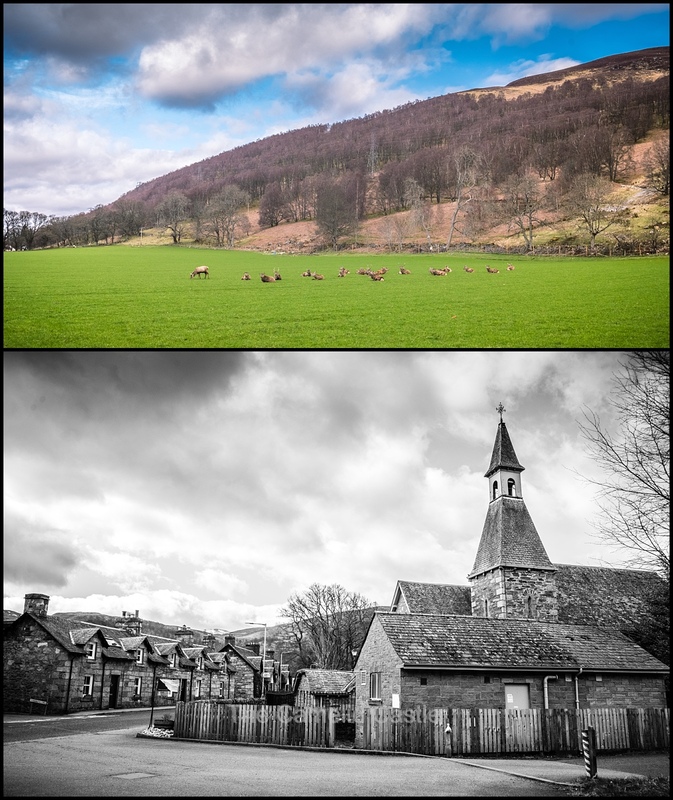 After awhile we went past Kinloch Rannoch which was a cute village and had large deer just sitting around in a field. We kept driving along the edge of the loch, with pretty views across to the other side. The loch is only around 1.2km wide but is 130m deep in places. We saw plenty of people camping along the edges. 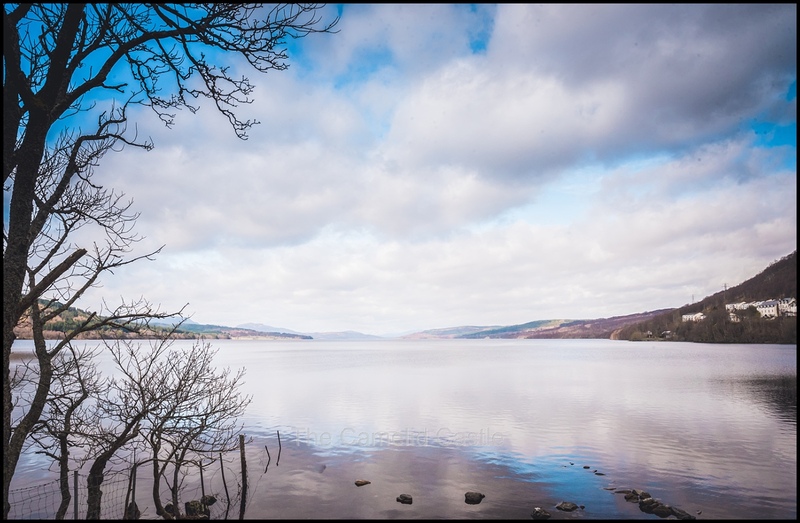 We decided not to circumnavigate the entire loch but drove for quite a while with a few photo stops, before turning around and heading back to the main road, back through Kinloch Rannoch. 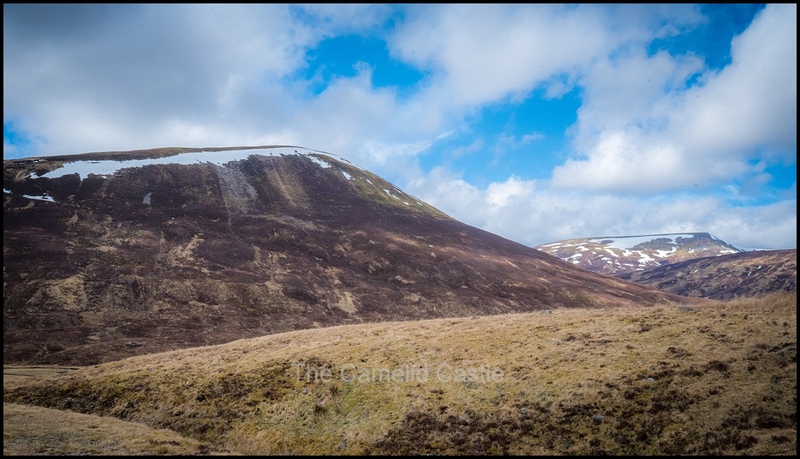 Once we passed Kinnloch Rannoch we took a turn onto a different road to get us back to the main highway. This involved some winding up hills and more nausea inducing driving through the Rannoch Moor. It was again rather scenic with plenty of eagles circling overhead. The road was rather winding, very reminiscent of the roads in Iceland but so far Astrid (who is prone to car sickness) had been feeling OK.
Once we were back on the A9, the road straightened out considerably, and everyone was relieved that we’d be going faster again. A couple of miles onto the motorway and Astrid said she was feeling sick. When it comes to Astrid that is not a good sign! We happened to be coming up to a pull-off spot but Anto did not quite get there quick enough. Astrid had only given us about 3 seconds warning and I jumped out of the car as it was still slowing down and tried to ninja-hands as many things as possible out of the line of fire…….. but we still ended up with vomit everywhere, including into her open backpack. In the middle of nowhere, still beside the Rannoch Moor, we did a clean up with baby wipes on the side of the road. We managed to wipe most the car seat and car out, and got Astrid changed on the side of the road. We had conveniently pulled up near a bin, but it was freezing and windy on side of the road. 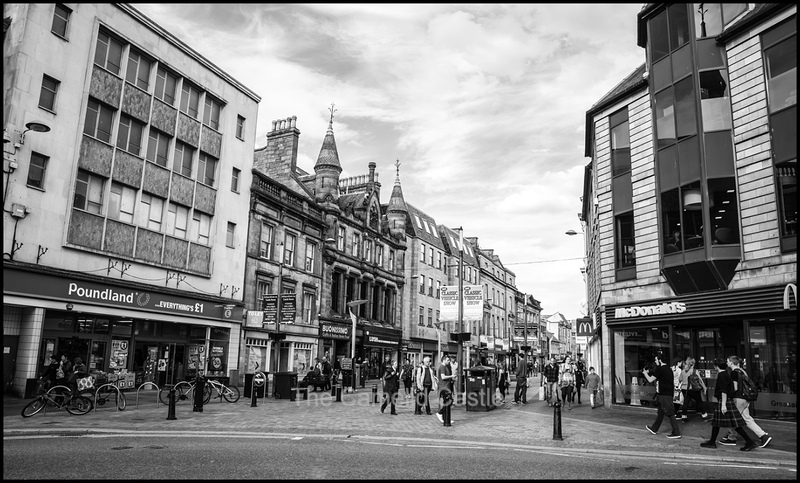 Our new plan was now to stop at a service station in Inverness for more clean-up, and to find some washing facilities that afternoon, since we had no washing in our accommodation until we reached Romania in 6 days time. After depositing her stomach contents all over the hire car, Astrid was feeling much better! We were luckily now on straighter roads, so we got moving, all a little smellier. Anto and I were wondering how we were going to stand the vomit odour for the next 5 days, and whether the hire care company were going to notice when we returned it! It was about an hour and 20 minutes drive into Inverness and luckily there were no more vomit incidents. We found a service station in Inverness and stopped for a toilet break and coffee, and found a vacuum but we didn’t have change so we planned to come back later in the afternoon to deal with the odorous car. 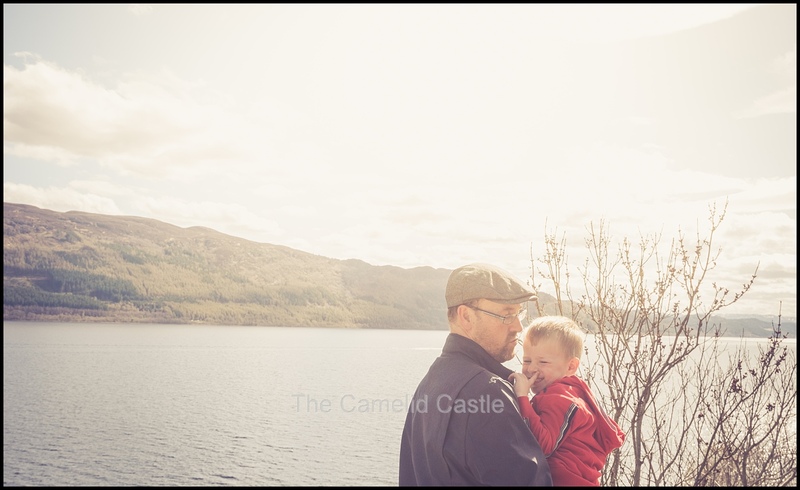 We decided that the best plan of attack was to visit Loch Ness and have some lunch. The most famous of all the lochs, Loch Ness is 37km South West of Inverness. 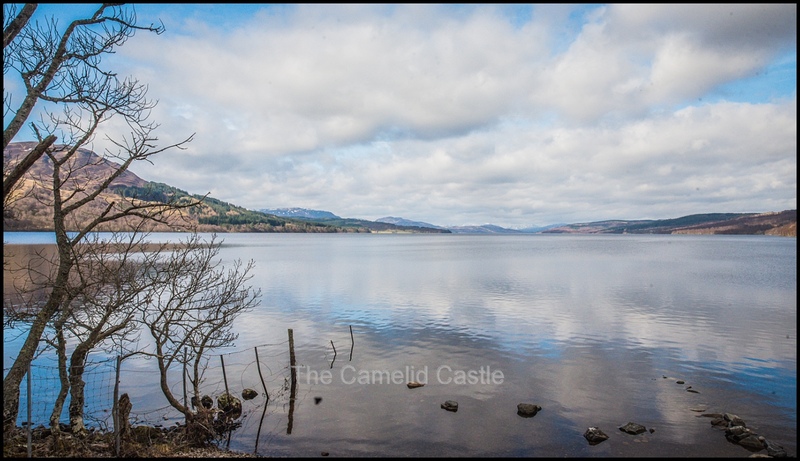 It is a deep freshwater loch but it is most famous for it’s reported sightings of the mysterious ‘Loch Ness Monster’. As we drove down the loch there was no sign of Nessie but it was beautiful sunny day and the sun was shining off the Loch. We drove about half way down the loch and stopped at ‘Cafe Eighty 2’ which we’d read good reviews for. It was a beautiful little cafe with home-made food, and a small but interesting menu. The kids shared a turkey, pesto and mozarella toastie with salad. 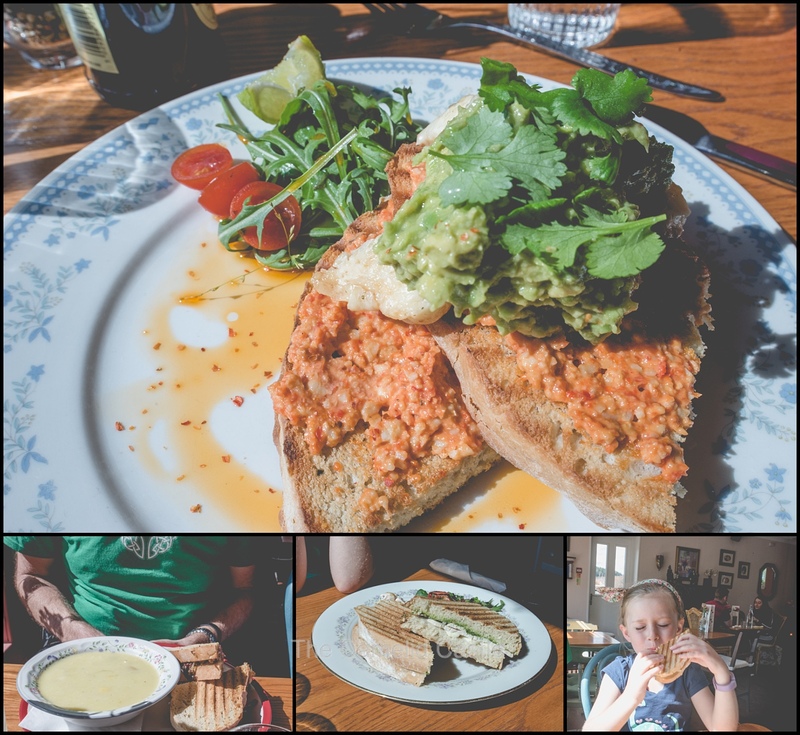 Anto had the leek and potato soup along with a haggis, cheddar and chutney toastie, and I had the smashed avo with roasted pepper pesto and haloumi. It was all really good and wish we had room for the delicious looking cake. 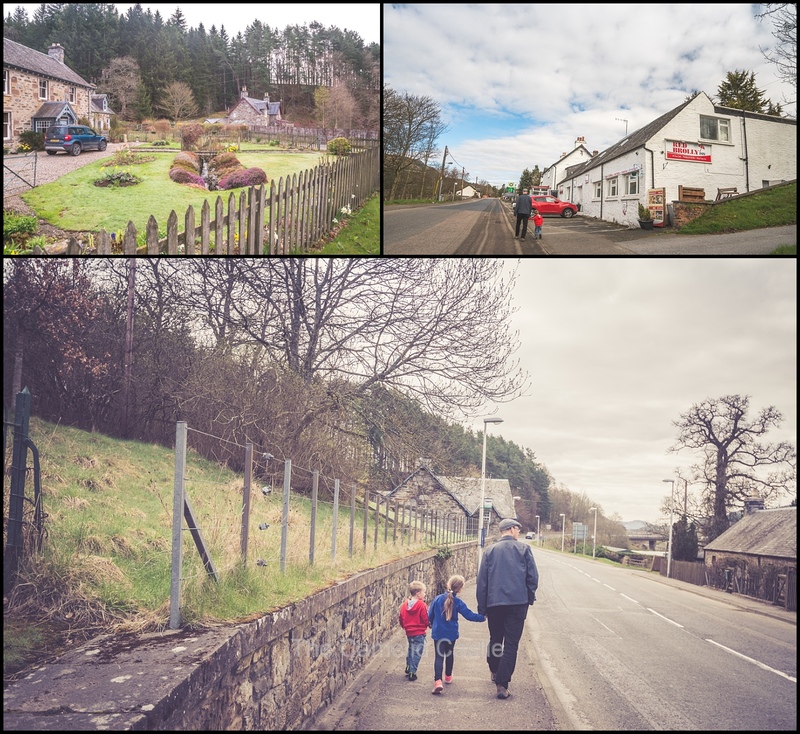 With tummies full of food we headed back towards Inverness, driving back through some of the villages dotting the shores of the loch. It was a beautiful Spring afternoon and there were plenty of flowers about and pretty houses to wander past. On the way back towards Inverness we stopped at a few sightseeing spots to see if we could spot that Nessie, but we had no luck. We did end up driving along the other side of Loch Ness later in our Highlands adventure so it wasn’t our last chance to hut for Nessie! 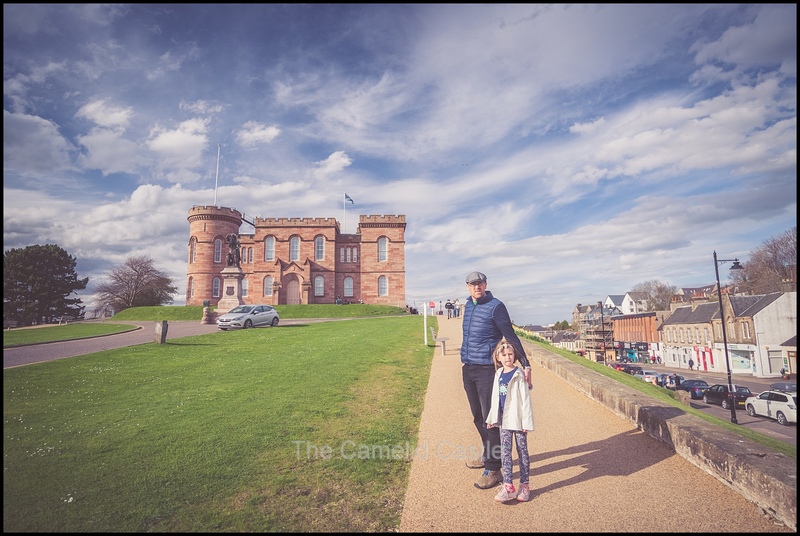 Originally our itinerary for the day had us going to Fort George for the afternoon before being back in Inverness overnight. However, with the vomit incident and our need to do something about the car and boot full of smelly clothes, we decided to revise this plan. Astrid still wasn’t looking all that bright so we decided to push the Fort to the following day as it was an extension drive out of Inverness anyway. The kids both fell asleep on the drive back into Inverness. 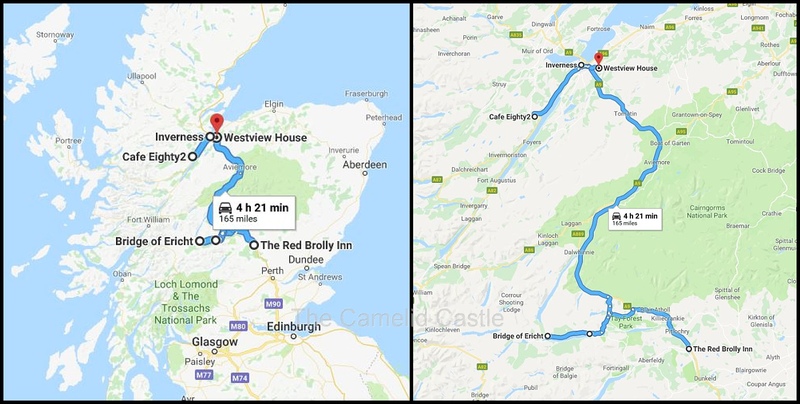 We were staying in a B&B type accommodation (West View House) out to the West of Inverness so we decided to head straight accommodation and rinse out the vomit clothes and then get into a laundromat. It was now after 3pm and luckily our room was ready for us when we arrived. When the owner heard we’d had a sick kid he kindly offered to take all the items and wash and dry them for us, saving us an emergency trip to a laundromat. Astrid still wasn’t feeling great, and was really tired, but there was no food nearby and we had the smelly car to deal with so we convinced the kids we needed to head into Inverness. First we went back to same service station from earlier in the day and vacuumed out the car once we found some change. 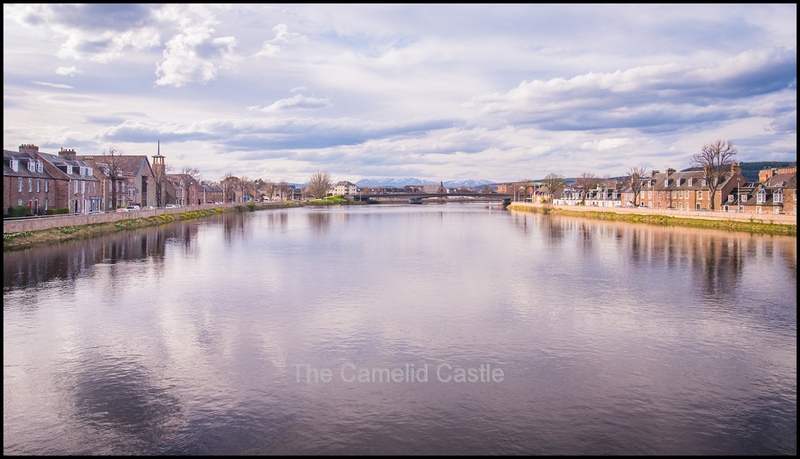 With a slightly less disgusting but more fake lemony smelling car we drove towards Inverness Castle. 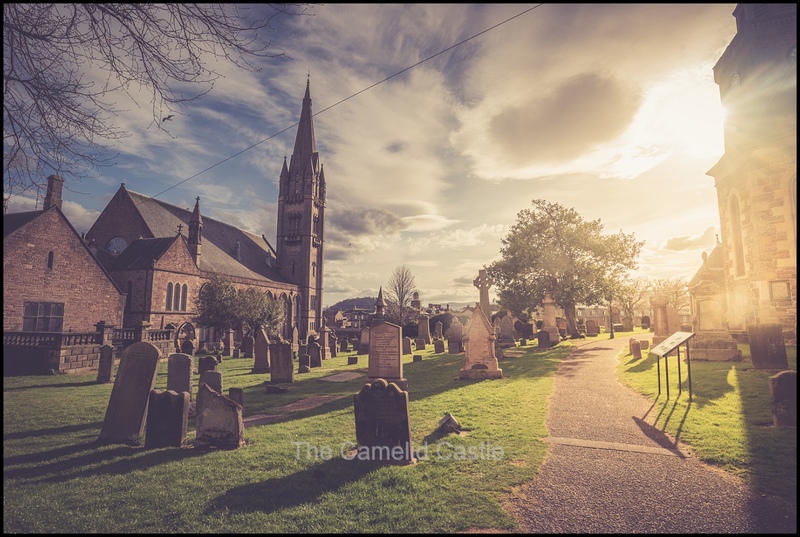 Parking in the Inverness Old Town area is rather difficult but we eventually found somewhere, left the car and went off for a little explore. It was late afternoon and 18 degrees and sunny, so we wandered up to the Castle, which was now closed but we really didn’t care about going in anyway, so we were happy to look at it from the outside. 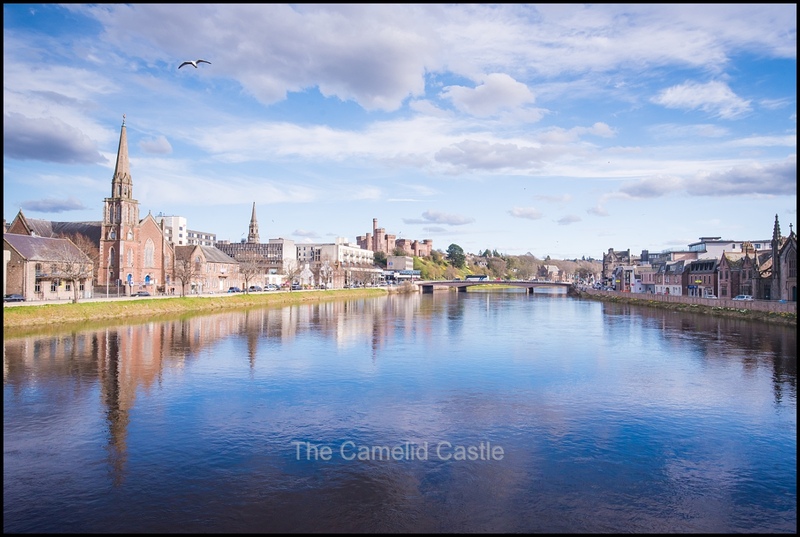 As you walked around the Castle there were good views over roofs in the Old Town and across the River Ness. 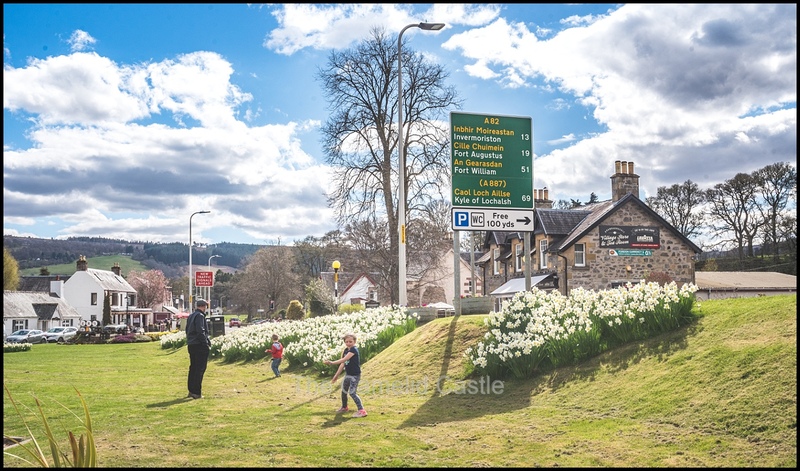 The fields of daffodils down side of castle grounds were rather spectacular! 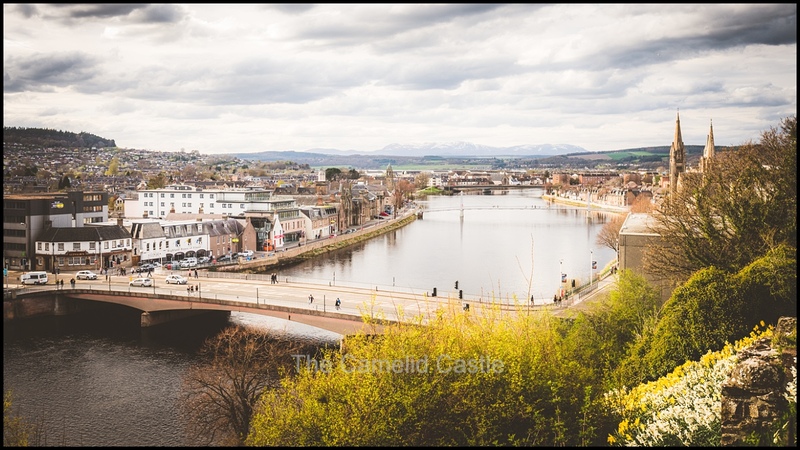 We strolled down the hill from the Castle and through the Old Town area and down towards the River Ness. The River was rather pretty in the late afternoon sunshine. As we crossed the river, Anto saw seals swimming up and down the river. 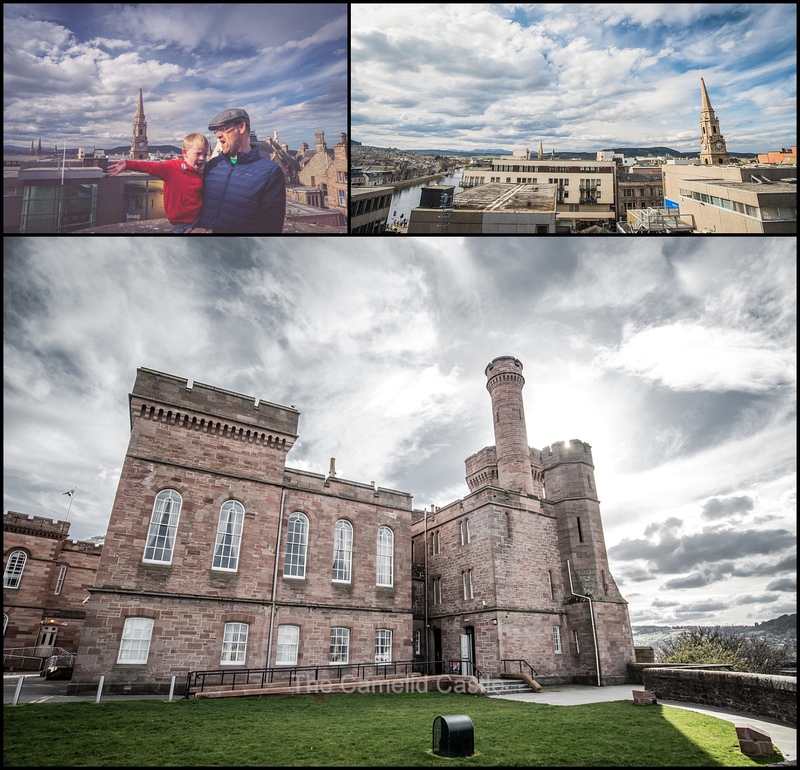 Inverness is a very pretty town with lots of lovely buildings. The Spring afternoon sunshine didn’t hurt at all either! 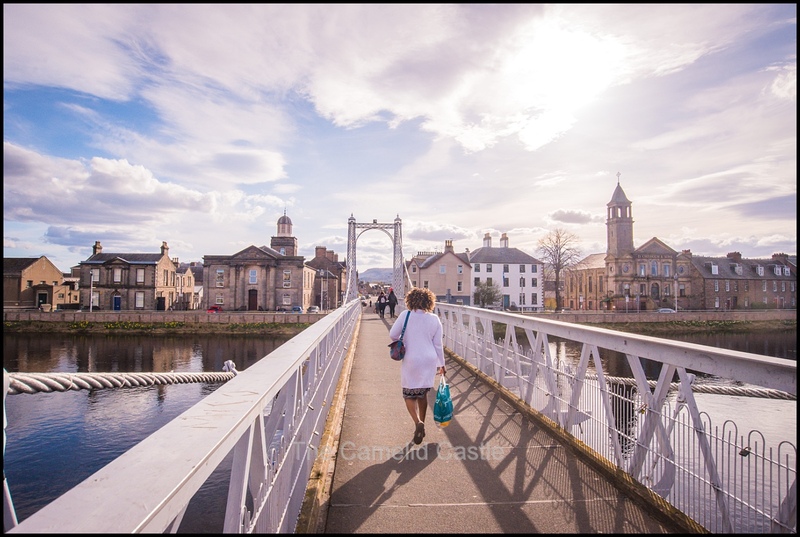 We crossed the river back to the Castle side and enjoyed a short wander past some churches (Inverness seemed to have plenty) and over the bridges checking out our options for dinner. It was now almost 6pm. The restaurant we wanted to go to for dinner unfortunately didn’t have tables until 8pm so we decided instead on a nearby pub that looked good. Like seemingly everything in Inverness that afternoon it was also rather busy, but they said that we could have a table if we were out by 7.15pm. With a tired and a not very well Astrid, we had no problems with this arrangement! Our dinner pub did have nice views back towards the castle. Dinner for the evening was a courgette and cheddar quiche with salad and sweet potato fries for me. Astrid had some veggie tempura and Soren some fish and chips. Both the kids meals were fairly large and apparently tasty. Anto had a surf & turf. As much as we wanted to try interesting looking desserts, the kids were exhausted we departed in search of showers and an early night at the B&B. 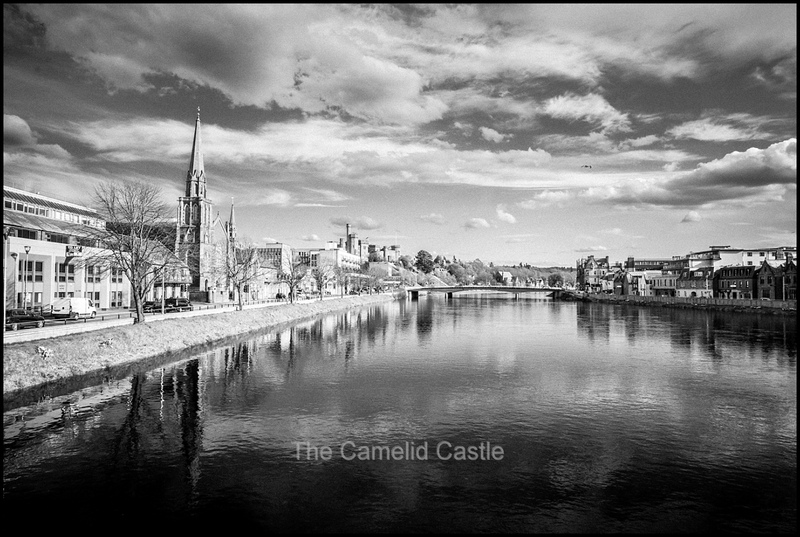 As we drove out of Inverness the town looked very pretty. The B&B had views down towards Loch Ness so once the kids were showered and in bed we watched the sun set over Inverness and the Loch. The extremely kind B&B owner returned our washed, dried and folded items of clothing and apologised that they weren’t ironed! The fact that he had dealt with vomit soaked clothes on our behalf was very much appreciated and I was not the least bit worried about some ironing. I don’t think I even know what an iron is! The day had most definitely not gone to plan but we did manage to see some wonderful sights, get some great photo stops, and eat plenty of delicious food so it wasn’t all bad. We definitely could have lived without the vomit incidents but given Astrid’s tendency to succumb to car sickness it had been a miracle she’d made it this far into the trip without incident. Those roads in Iceland were not fun! 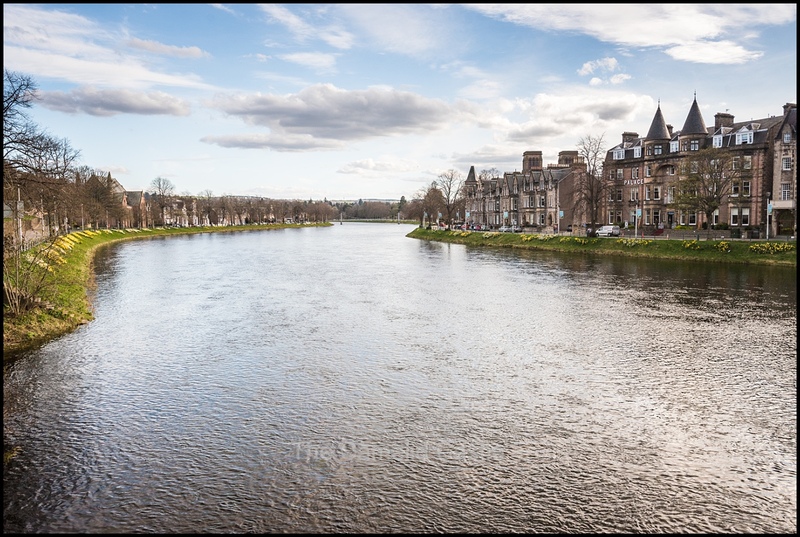 Daily statistics for Saturday 21 April 2018 – in Pitlochry, and Inverness, Scotland – the temperature in Pitlochry started out at a mild 8 degrees. 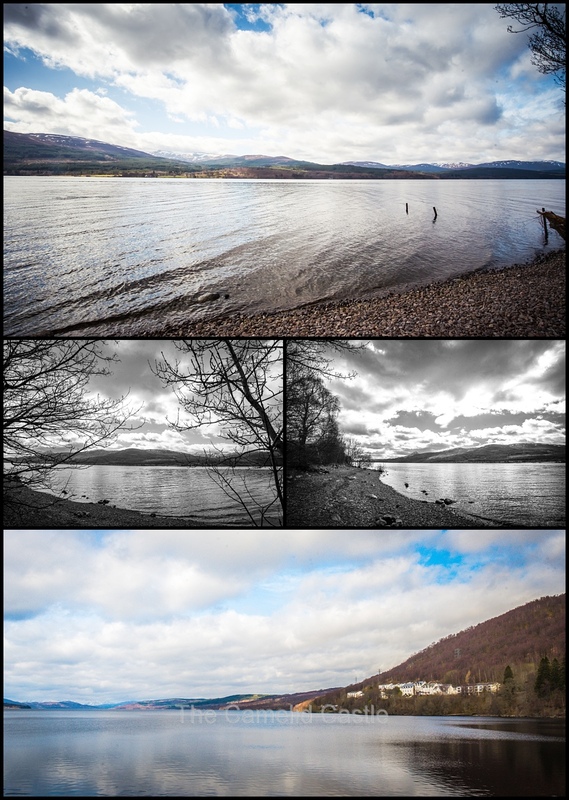 The afternoon in Loch Ness and Inverness reached a very pleasant 18 degrees in the lovely Spring sunshine. The total walking for the day was a very average 4.9km. We had spent an awful lot of time in the car and there wasn’t a huge amount of walking. 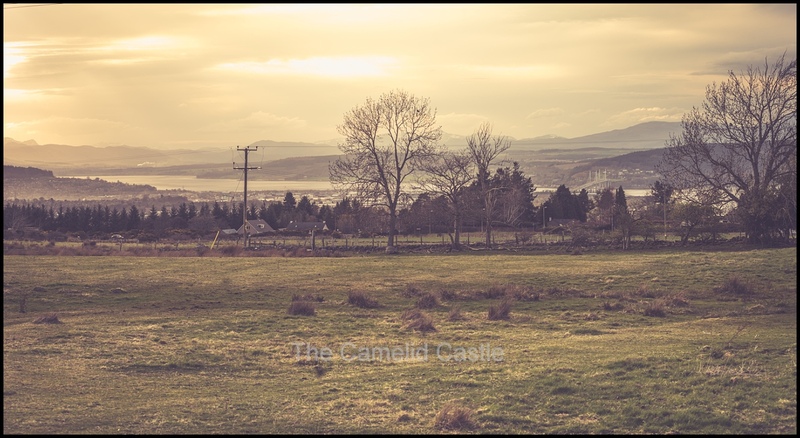 Up next – as we headed deep into the Highlands we visited Fort George, Dunrobin Castle (with anawesome falconry) display and then we headed North for some spectacular scenery and the most amazing farm stay in Lochinver with some very cute Highland Cattle! 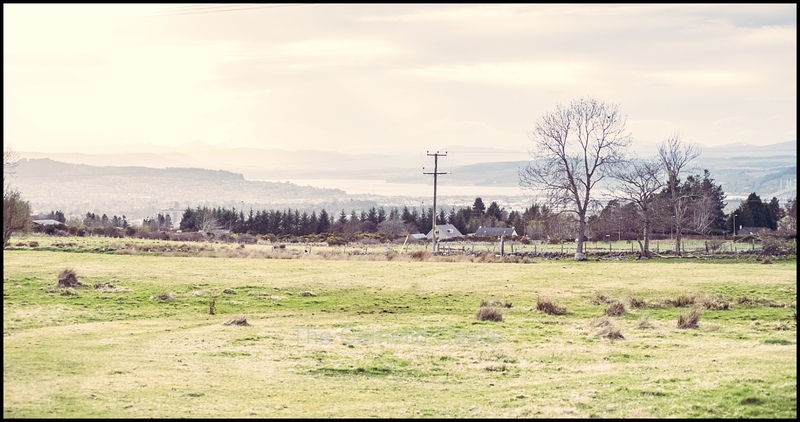 Posted in 4 years, 6 years, Astrid, Highlands, Inverness, kids, Loch, Loch Ness, Pitlochry, Rannoch Moor, Scotland, Scottish HIghlands, Soren, Travel, travelling with kids, UKBookmark the permalink.